In recent years, the merchandization of mountain resources for “mass” tourism: recreational and sporting activities (mainly downhill skiing) has been the main driving force behind the economy of mountain territories. The result has been: increased tourist numbers, shorter and more numerous stays, denser and multiple leisure activities leading to an increasing use of all the Alpine resources. This frenzy is also resulting in more noise and unrest in areas that have so far been spared, as well as increasing waste generation and traffic problems. In addition, climate change has further accentuated the need for a paradigm shift. Sportsmen, mountaineers and hikers, local elected officials and alpine associations, farmers… all are nowadays confronted with the need to solve these challenges if they wish to preserve the specificities of their environment. Since the1990s, Mountain Wilderness has been working to raise awareness among mountain stakeholders of the fragility of the current economic model and the need to move towards more sustainable solutions, trying to reconcile the aspirations of urban dwellers with the multiple capacities offered by local actors. Various initiatives have been launched. 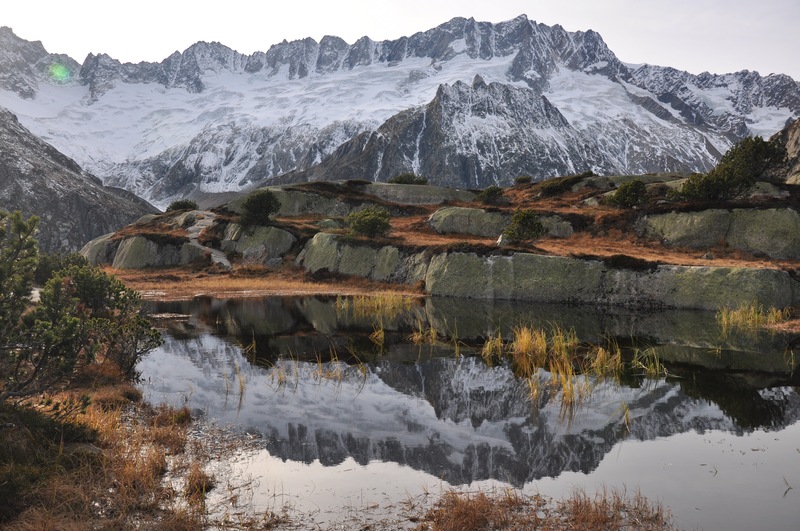 Thus, in 2001, Mountain Wilderness France initiated a soft-tourism project in the Mont Blanc region in collaboration with the local population: “Butiner au Pays du Mont-Blanc” (Beeing in the Mont-Blanc country). This project was inspired by a pilot initiative entitled “GöschenenModel Region”, launched by Mountain Wilderness Switzerland in1998. Launched by Mountain Wilderness Switzerland and implemented in collaboration with the Swiss Alpine Club (SAC) and the Göschenen region, the “Göschenen Model Region” project aimed to show a way towards a form of mountain tourism that valorises its resources (mountain landscapes, wild areas) in an environmentally and sustainable manner while strengthening local economic activity and agriculture. This experience was to serve as an example of soft-tourism for the entire Alpine arc. 1. Mountain agriculture: promoting the direct marketing of local products in the region; supplying huts, hotels and mountaineers; supporting the local mountain economy and agriculture; raising awareness among mountaineers. 2. Hut management: more ecological huts, as examples of soft facilities, information and exchange centre for environmentally friendly alpinetourism; ecological label for mountain huts. 3. Transport: encouraging the use of public transport and ecological mobility; support for eco-bonus systems; improved information. 4. Landscape protection: preservation of traditional mountain pasture sites; protection of wild areas adjacent to high mountains; definition of quiet areas and areas of particular ecological importance. Twenty years later, it should be noted that the experiment carried out in Göschenen has spread to several Swiss valleys in the form of initiatives implemented in various mountain villages as a recourse to reducing the number of skiers on the slopes. 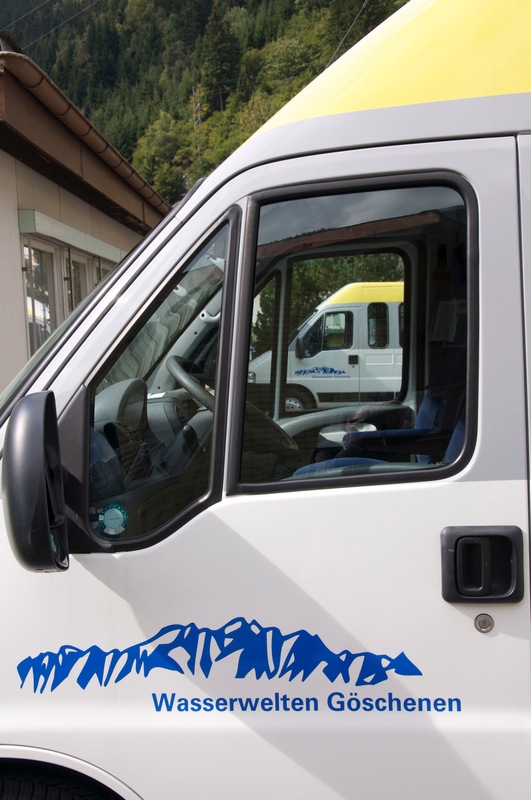 The “Alpine Bus“, for example, an association that works for public transport access to mountain regions, is an outcome of the Transport Programme of the “Göschenen ModelRegion”. It now includes 16 regions of Switzerland. At the level of the region itself, the networking of the many actors in the valley, among themselves and with the outside world, has enabled them to develop a soft tourism offer adapted to seasonal traffic favouring public transport or on demand and longer stays. At the local level, the Wasserwelten water park, which offers leisure activities in the heart of this magnificent mountain landscape, and the farmers‘ shop (a first in these alpine valleys) offering products from the valley and its surroundings during the summer period are results of this programme.